Look what I got in the mail yesterday!!! I have to admit I never, ever thought that it would feel this good! Touching it, feeling how soft and silky the cover feels, flipping through the pages and seeing my picture in the back flap just made all those endless hours and weekends at home trying to put this together make it all worth it. A huge ¡GRACIAS! to our publishers, Bilingual Readers, for putting out a beautiful design and just a quality book, and for holding out hands so patiently throughout this whole process. 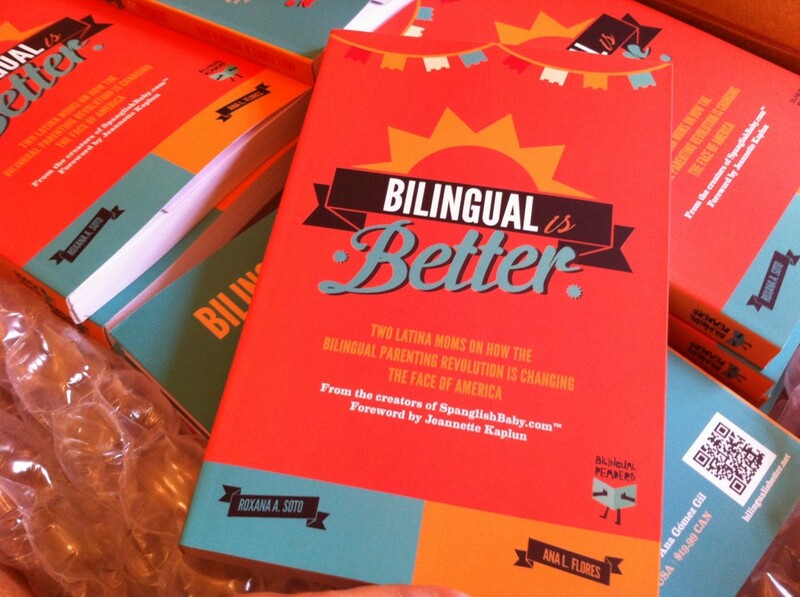 “Bilingual is Better” is starting to ship to some stores, but won’t be officially released until September 18. You can be ahead of the game and secure a copy on preorder via Amazon or Barnes and Noble and you will get it days after the official release. We also have some amazing interviews and international media appearances coming up soon! 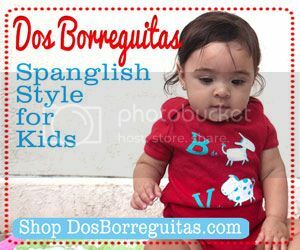 To stay up-to-date make sure you’ve Liked the SpanglishBaby and Bilingual is Better pages on Facebook. You can also chat with us on Twitter and follow the hashtag #BilingualisBetter for the latest. Felicidades Ana y Roxana! Finally the fruit of your labor is here! Gracias, Xochitl! Se siente maravilloso! I know that feeling. Estamos muy contentos por ustedes y muy curiosos por leerlo. I want my book! Gracias por el apoyo, Adriana! 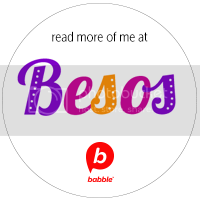 Ojalá te guste! Thanks, Susan! Can´t wait for you to read it. You´re quoted a lot! Preordered my copy already. Can’t wait to get it! Congratulations! That is SO cool!!!! 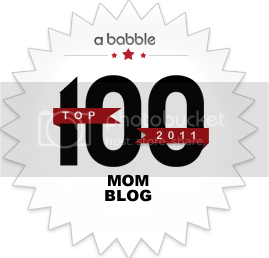 Congratulations on an awesome accomplishment!!! Thanks, Becky! So excited to share it with all of you! Congratulations for the book Ana. This is a great accomplishment for sure. And I am totally intrigued by this book’s title. Bilingual is Better. Really looking forward to it. Please do update about the exact date for the book launch. Thanks to everybody who left a comment and to everyone who’s ordered a copy! Can’t wait to see what you all think about it and I hope you know this book wouldn’t be a reality without all your support and the amazing community you’ve helped us build in the past 3 1/2 years! I got my copy today!